Byron Holcomb is a retired naval officer and lawyer who lives on Bainbridge Island. 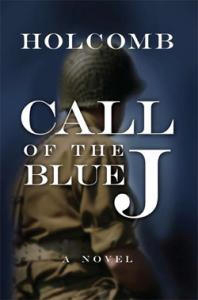 In addition to being a frequent contributor to major newspapers, in 2008 he launched his first book Call of the Blue J. The novel is about Jared Justin Juhl Jr., '4J' for short. While running for Senate in 1980 one of 4J's campaign aides was found dead. At the time, authorities were unable to rule it as a suicide or a murder. However, a note found on the scene suggests an extra-marital affair between the senator and his aide. Forward 28 years to 2008. '4J' has been elected president and the investigation into the cold case suddeny heats up. The battle revolves around the question: "Can a president be charged with murder?" Holcomb's book, which can be found in the Kitsap Regional Library collection or at Eagle Harbor Books, provides an answer to that question.